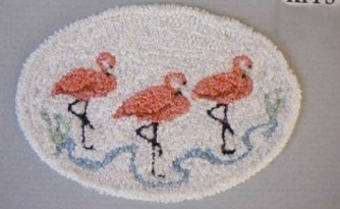 Finished Size Oval is: 2 1/4" x 3 1/2"
White Bath Rug with a trio of Pink Flamingos. 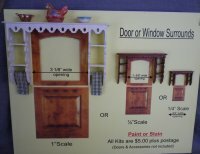 This is a contemporary design that would make a great accent to dollhouse or vignette. 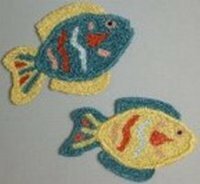 All materials, (rug backing with stamped on design, Bunka, and complete step by step instructions with color picture of completed rug.